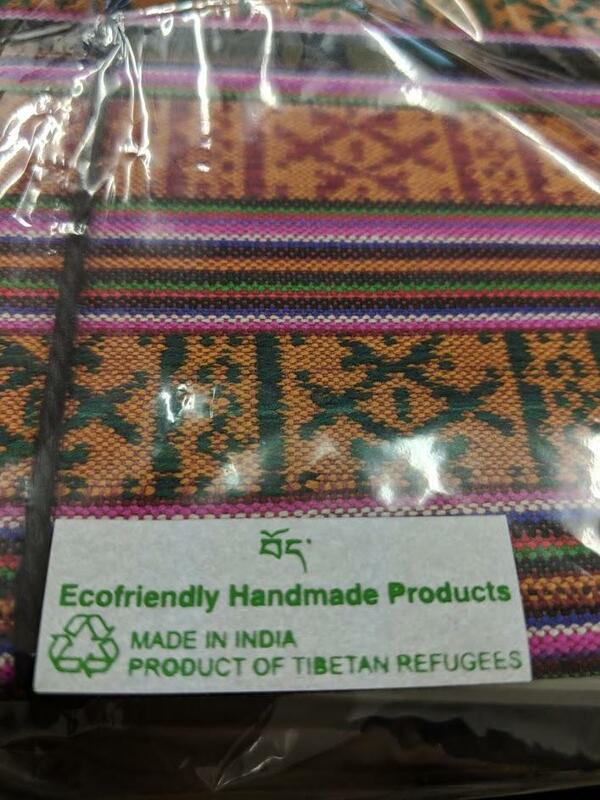 These beautiful notebooks are made by Tibetan refugees in India. 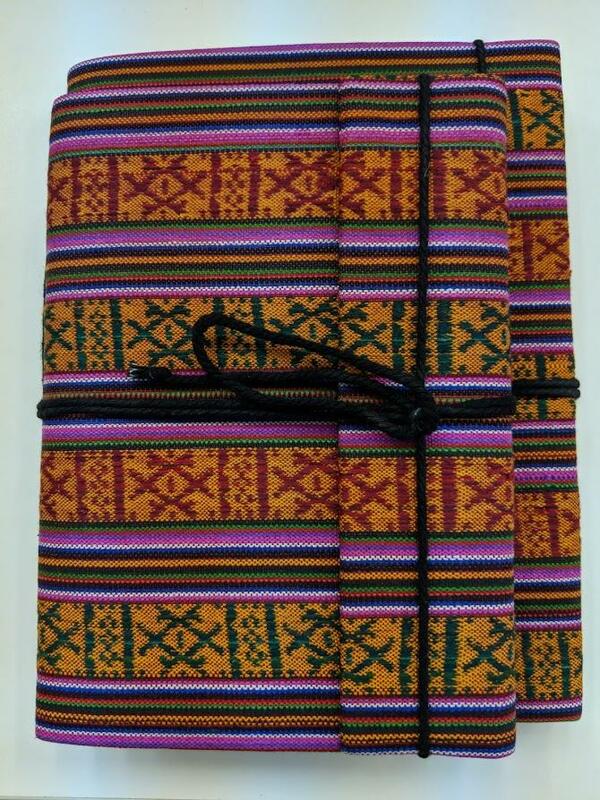 The notebooks have a robust wrap around cover and string to tie it closed. 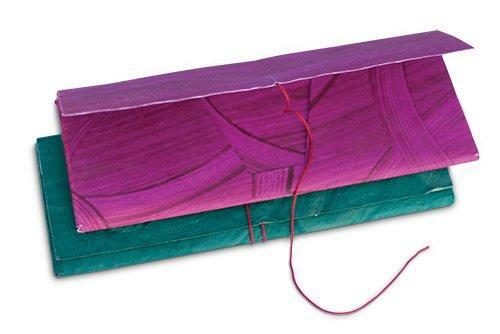 They contain 60 pages of handmade plain paper.